These three Charleston sisters were trailblazers, committing their lives to helping disenfranchised people throughout America. 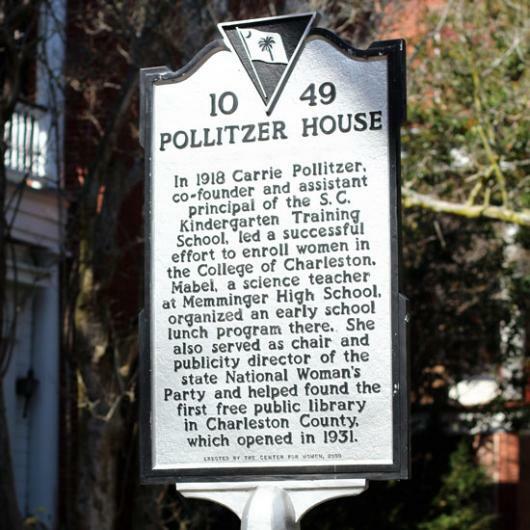 Descended from Austrian Jewish immigrants, Carrie, Mable and Anita Pollitzer helped change the city, state, and country when they took a stand on women’s rights. Charleston native, Josephine Humphreys is an award winning novelist and recipient of many prestigious prizes. "I love Charleston's stories. We preserve, rediscover, whisper, deny, and create them." Charlestonian Leah Chase is a holocaust educator and activist who has received The ‘Woman who makes a Difference’ award. "I love Charleston and want to help make its stories come alive"